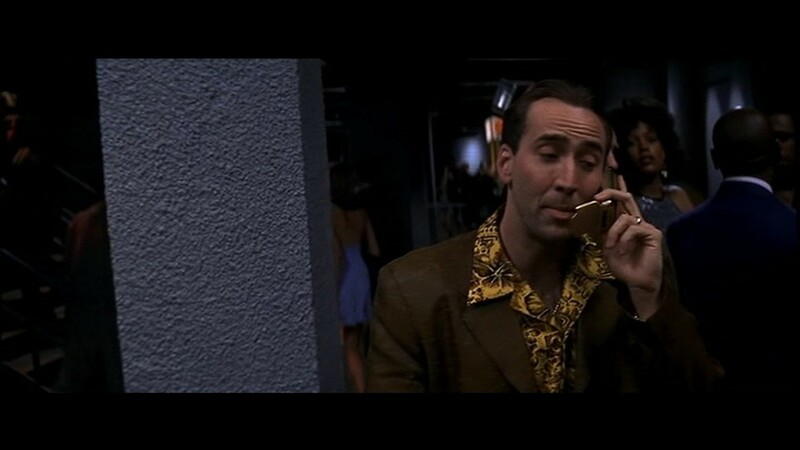 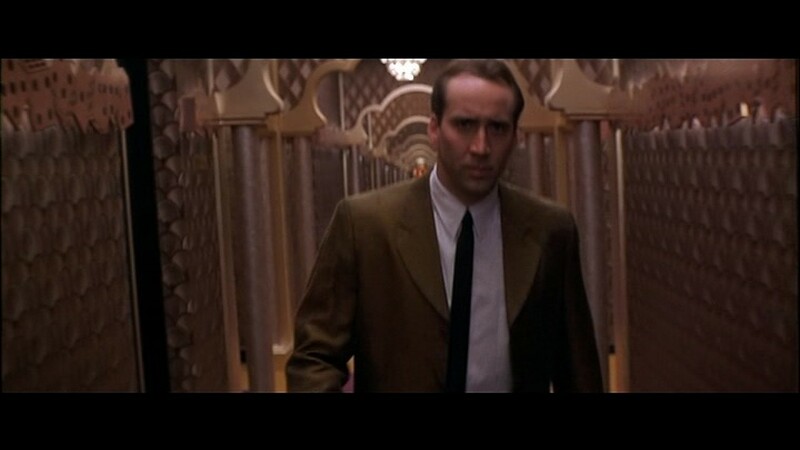 Detective Rick Santoro's (Nicolas Cage) suit from Brian De Palma’s 1998 crime thriller Snake Eyes. 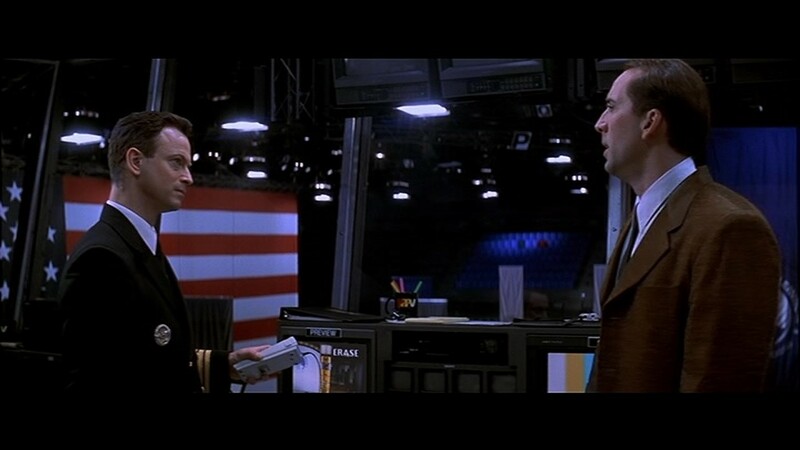 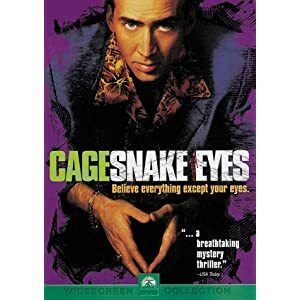 Rick Santoro (Nicolas Cage) is a corrupt police detective who finds himself in the middle of a political assassination at a boxing match in Atlantic City. 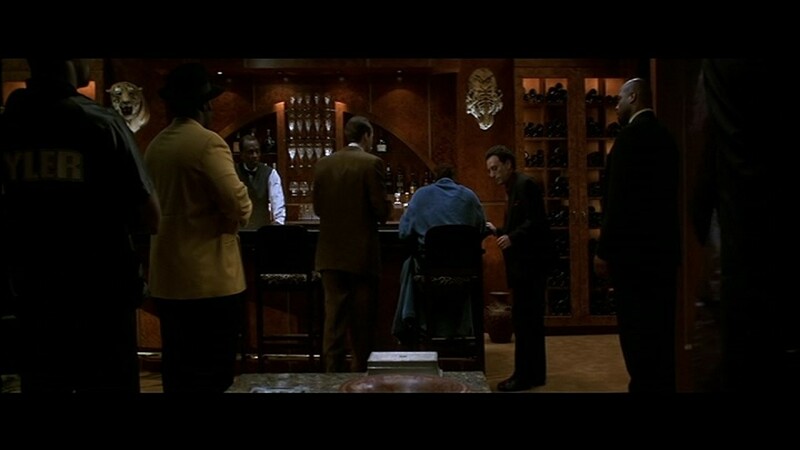 This distinctive suit was worn by Santoro throughout the entire film, with the flamboyant shirt being worn at the beginning of the film before the assassination. 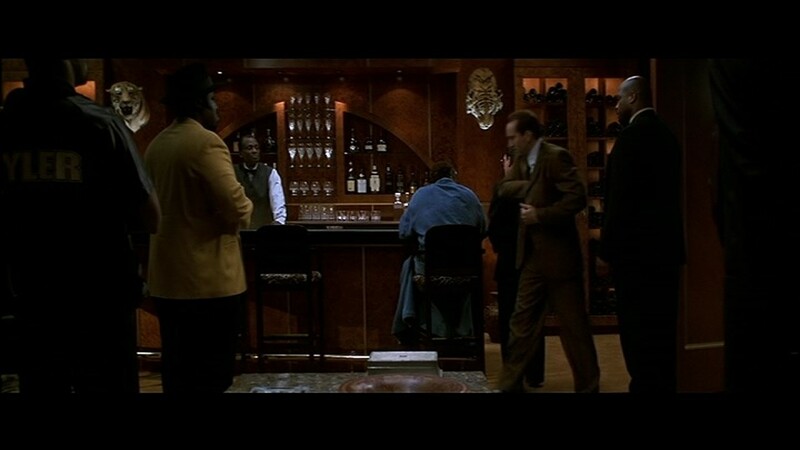 Santoro replaces it with a white shirt and tie after getting blood on it. 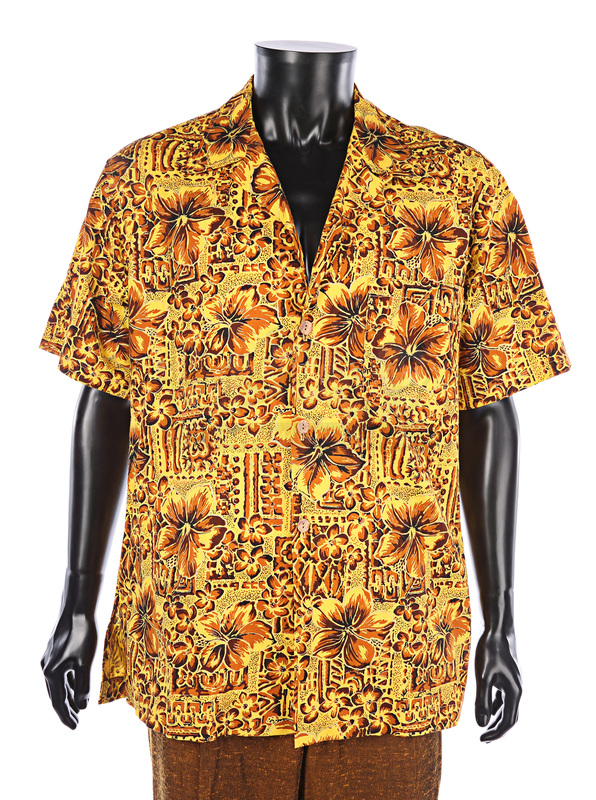 The brown suit consists of jacket and trousers, while the shirt is a yellow, brown and gold Hawaiian shirt with a floral design. 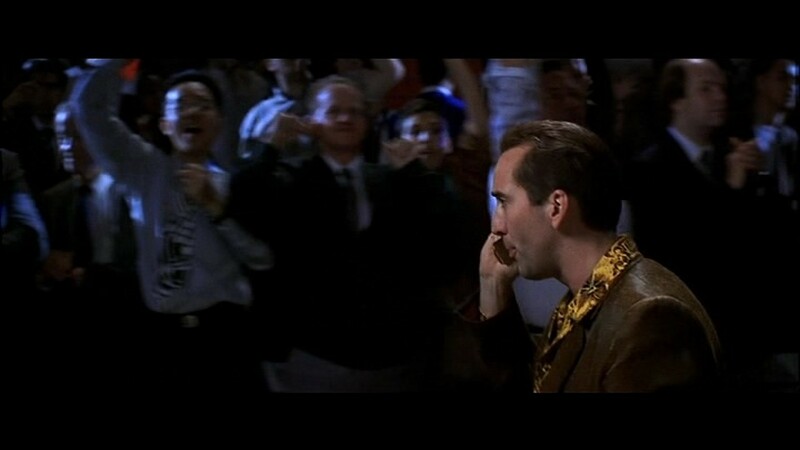 As the suit was made specially for Cage in the role there are no labels indicating sizes, but the word ‘bigger’ is hand written on the inside left armpit of the jacket. 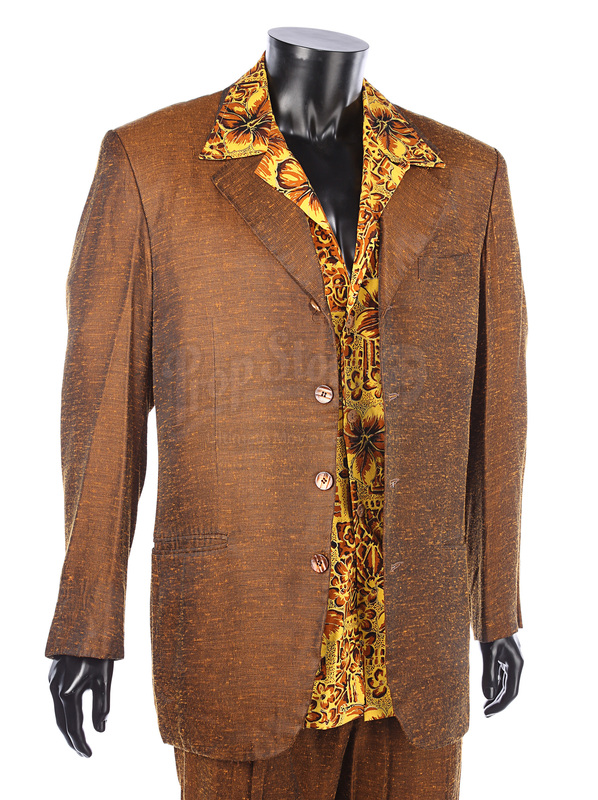 The suit and shirt have some wear from production use and age, including some minor plucking of the fabric, but it remains in an overall excellent condition. 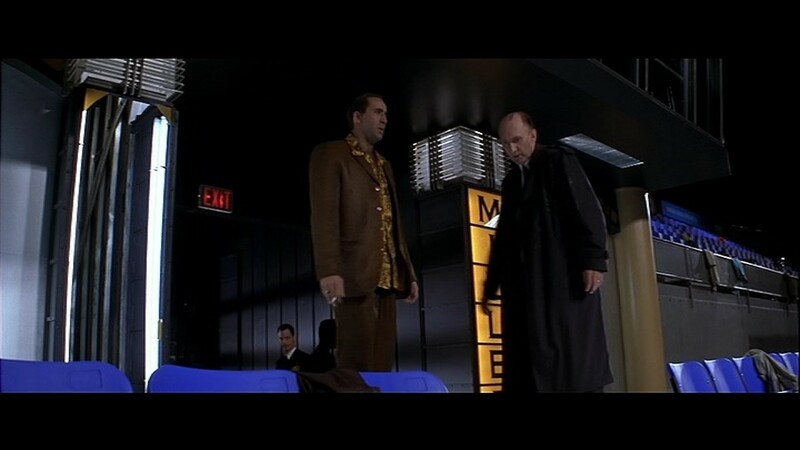 Materials: Man-Made Woven Fibres, Plastic, Ferrous Metals.